Internet marketing practices suggest we limit content to around 500 words or else it will be branded “long form.” Add to the mix the everyday use of social media shorthand and the seemingly ubiquitous, always grating misuse of “literally,” and it’s safe to say the value of our beloved language is at a crossroads. And then comes Homesnap Pro, a home search app that makes pictures more powerful than ever before. Methinks our language needeth a defibrillator. To assuage Polonius, Homesnap Pro makes smartphones into very smart phones. Already boasting a Bieber-esque fan base, Homesnap Pro is a slick piece of mobile software that evolved from agent use of its original consumer-facing version, which was launched three years ago. It pulls property data from a vast association with tax record offices, MLSs (multiple listing services), and Google and Bing mapping tools. Homesnap Pro offers a level of data integration the market hasn’t seen before, certainly not in a mobile app. While not nationally accessible yet, Homesnap Pro currently works with seven of the nation’s 20 largest MLSs. And if you’re lucky enough to work in one of those, you’ll soon know just how engaging your historically tepid MLS interface can actually be. Property information, agent contact information, their listing histories, showing instructions and school information are all easily found in Homesnap Pro. The interface looks sharp, the buttons are fat and easy to navigate, and it’s visually efficient and fun to use. Homesnap Pro is especially empowering for highly mobile agents, providing them with a number of ways to reach clients or prospects. The “Rapid CMA” (comparative market analysis) feature really stands out. 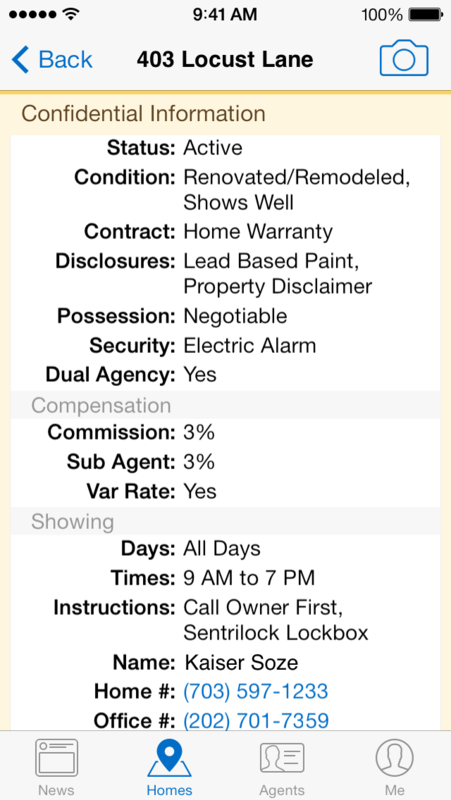 Tap it while looking at the subject snap and Homesnap Pro presents 12 sales comparisons and 12 similar listings. Select three of each, tap “next,” enter a recipient, and in a few moments an in-depth CMA is generated. A sample PDF I viewed looked quite comprehensive. But the key here is efficiency. It’s so much faster than having an assistant scroll through your browser-based MLS, or having to “get back to” a client when they surprise you with an address while touring. If you’re still needing to earn the signature of a prospect, Homesnap Pro could really help. And in terms of working with clients, Homesnap Pro lets you send snaps directly to them, and vice versa. It’s clear that the app has made customer interaction a priority. Once you invite a prospect to view your Homesnap Pro profile, you become their default market contact. This provides you an inside view to what they may be considering. Even snaps they take out of your market offer insight into what they’re considering. 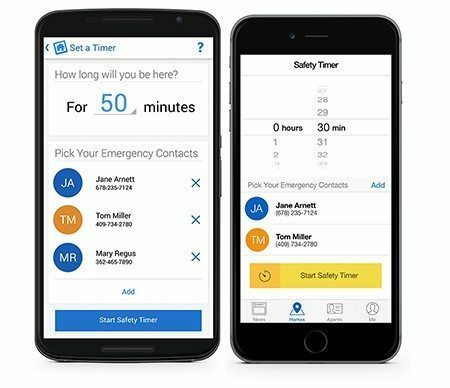 I’m a big fan of the practically integrated Agent Safety Timer. If you don’t shut it off in time, it texts an emergency contact that you need help. It reminds you to cancel when things are cool, but also includes a fast cancel should an inadvertent alert send. Can it spray mace or unleash an overly protective Doberman? No, but it’s a nice extra bit of caution to exercise, especially given the fact that many on-the-go agents schedule last-minute showings with loosely screened buyers. Homesnap Pro also integrates map views with ease, allows agents to associate data with multiple MLS memberships and does a great job of connecting agents with other agents. 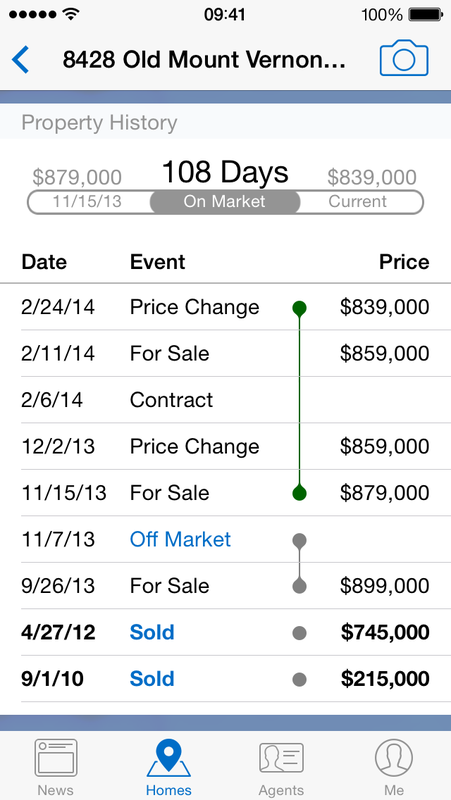 Homesnap Pro is a powerful, very useful app for today’s heavily mobile real estate professional. It takes a complex, esoterically connected world of people and property data and assembles it for practitioners in a compelling, color-coded, creative interface. I wasn’t surprised to learn that 17,000 agents and more than 700,000 homebuyers are connected via Homesnap. I envision that number growing quickly. Pictures really are worth a thousand words. In fact, they’re worth an entire real estate market. Do you use Homesnap Pro? What do you think? Leave a comment and let us know!